"At Sea Island this week, Driving Accuracy is important and that’s one of his main strengths. 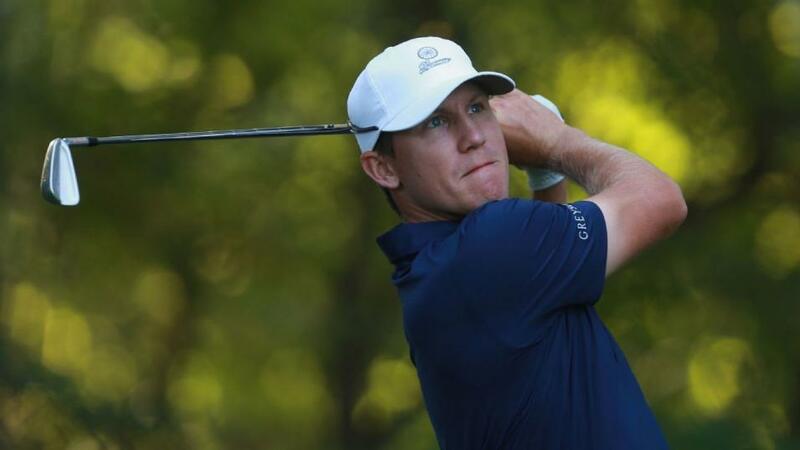 The Texan has finished 16th and 11th in that category in his last two starts so can attack from the fairway." In theory, the RSM Classic should be a fairly predictable event given that it's one of those venues where a certain type of player excels. Basically, an accurate-hitting course horse. And yet, only Kevin Kisner in 2015 went in at under 50/1 so, in the PGA Tour's final full-field event of 2018/19, it could be worth throwing a few darts. So I'll start with Kramer Hickok at 90/1. We saw him on the leaderboard at last week's Mayakoba Golf Classic in Mexico after an opening 64 and only one bad day (64-68-74-67) cost him a good finish. It was a similar case in Las Vegas when he posted 66-72-67-67. Still, finishes of T29 and T23 are useful knocks and suggest he's quickly finding his feet. Hickok is a Web.com graduate and in recent months he scored a wire-to-wire victory in the Dap Championship, finished runner-up at the Lincoln Land Championship, third at the Pinnacle Bank Championship and T8 at the Web.com Tour Championship. At Sea Island this week, Driving Accuracy is important and that's one of his main strengths. The Texan has finished 16th and 11th in that category in his last two starts and so can attack from the fairway. His press conferences often dwell in his strong friendship with Jordan Spieth, the two graduating together from the University of Texas alongside Beau Hossler. Hickok said last week: "We see each other so much when we're home, especially Jordan, we play a lot of golf together. I'm reaching out when I'm home and trying to pick his brain a little bit here and there, but really just watching him play, learning from him. "It's certainly nice to be able to call Jordan, Beau, Frittelli, Gribble." The last-named, of course, is Cody Gribble which takes us back a couple of years when he turned some recent good form into a win at the 2016 Sanderson Farms Championship. Hopefully, Hickok can do the same. Win the trophy and then answer a load of questions about his famous mate. For the second time in these Fall Series events, I'll give Ben Silverman a whirl at 100/1. The Canadian carried my money at the Sanderson Farms Championship and gave me brief hope of some sort of return when following an opening 75 with a 65 on day two. In the end, he had to settle for T39 after two closing 71s. Two starts prior, Silverman had finished third at the Web.com Tour Championship to secure his card. As a straight hitter who putts well, this is a tournament which should suit to it's no surprise to check what he did on debut last year and find him slotted in at tied eighth. That was courtesy of four consistent rounds - 67-67-69-66 - and it's the style of golf he also used to finish T11 at Colonial earlier this year. Silverman has gained over 12 strokes with the putter in his last two events and you certainly have to hole your share this week given winning scores the last three years of -21, -17 and -22. As short as 66/1 in places, I like the three-figure price about a player who will hit lots of fairways and has the ability to shoot really low rounds (63s in his home Canadian Open and the Web.com Tour Championship in recent times). At the front end of the market, Webb Simpson will be popular, even at 10/1, but WD-36-41 here the last three years is hardly amazing even though he's a former runner-up (2011). I like Chesson Hadley at 35s given his recent form of 7-73-2 although again there are some course form doubts. Kevin Kisner? He missed the cut in Mexico (71-70) but was rusty after a two-month break and did end the last campaign with T12 and T24 in two of his last four starts. What jumps out though is his course form of 4-MC-1-4. No-one is falling off their seats if the former local resident makes the frame again. I'll complete a hat-trick of big prices by trying Nate Lashley at 125s. On a very basic level, we're getting a player with top 20 finishes on his last two PGA Tour starts - T17 at the Safeway Open and T20 at the Sanderson Farms Championship. He achieved those with a hot blade, gaining 7.871 strokes with the putter in Mississippi and 4.144 in California. Wind back to his previous PGA Tour start and he gained 6.047 strokes with the flatstick at the St. Jude Classic. Lashley is playing on a medical exemption at the moment and needs to find some more results in his next seven starts. He played this event for the first time last year and ended a run of four missed cuts with T49. A winner on the Web.com Tour last year, he's not exactly a spring chicken but that win came off some good previous form so I'm hoping he can get in amongst it here after those back-to-back top 20s. One thing you might come across when checking Lashley's story is that he suffered the major trauma of his parents and girlfriend dying in a plane crash after travelling to watch him complete. Goodness knows how he battled through that but he has a remarkable ability to keep focus. As an excellent ESPN article revealed, when he was about to win last year, Lashley didn't well up or think about the tragedy. He simply said the final hole was a tough one and he needed all his energy to be on playing it well. It's tricky ground when then using this info as part of a betting preview but we can at least give him an extra cheer - win, lose, or draw - given what he's been through.